We are constantly being told about the benefits of eating fish and seafood - high in protein, low in fat and rich in nutrients. Yet we also know that species like cod and tuna are in danger of extinction while unscrupulous trawlers are over-fishing waters around the world. 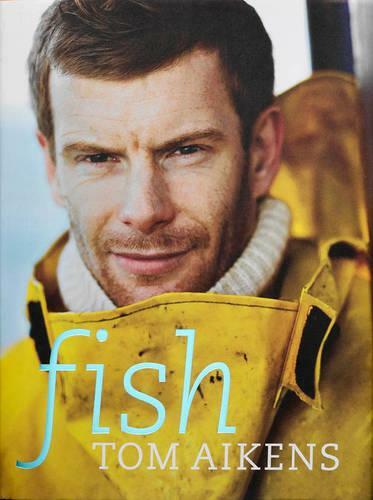 In this stunning new collection of fish recipes, Tom Aikens takes readers with him on a voyage of discovery. Having travelled to fish markets and spoken to fishermen worldwide, his recipes include new takes on ever-popular fish, such as sea bass, scallops and oysters, as well as ideas for lesser known but underfished, species like megrim sole, ling and gurnard. While urging us to ensure that we eat only sustainably sourced, line and net-caught fish, Aikens organises the book by cooking method - frying, baking, poaching, grilling, marinating and steaming. Each chapter has a dazzling array of mouthwatering dishes - whole bream baked in sea salt and fennel seeds; deep fried squid with lime and Aioli; grilled sardines with thyme and garlic; scallops with pan-fried pork belly; crab salad with lemon and orange; barbecued mullet with dill. Beautifully illustrated with specially commissioned photography, including step-by-step photographs for techniques such as descaling and filleting, this is a mouthwatering cookbook written by a chef who is passionate about his work. It is destined to become an essential addition to any cook's kitchen.